In another adaptation of a Marvel Comics series by Japan's Madhouse Studios, loner mutant Logan, a.k.a. Wolverine, has after a year found-out the location of his girlfriend Mariko Yashada – and her circumstances are not good! It seems that Mariko has been bound-over for marriage by her yakuza father to another crimelord – Hideki Kurohage, who also happens to be a chief customer of the nefarious A.I.M. organization! 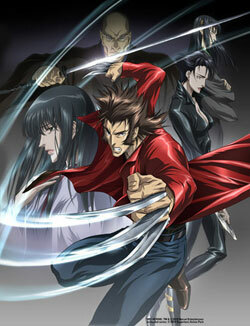 In a chase that takes him, along with a mysterious woman named Yukio, from Japan to the corrupt island city of Madripoor, where he has to put his savage fighting skills, mutant senses and adamantium-plated claws to the ultimate fighting test, Wolverine must find some way to save Mariko from a fate worse than death!